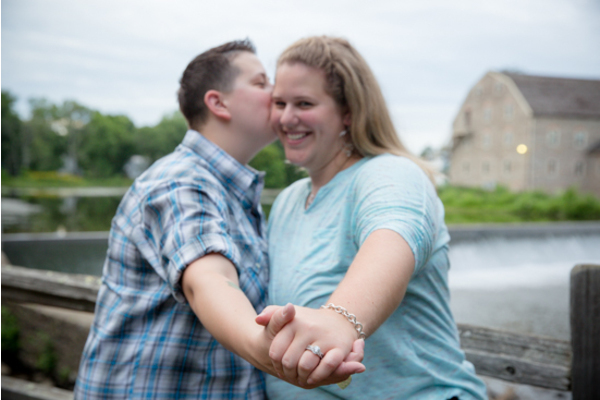 Congratulations to Corrine and Vanessa on their engagement! 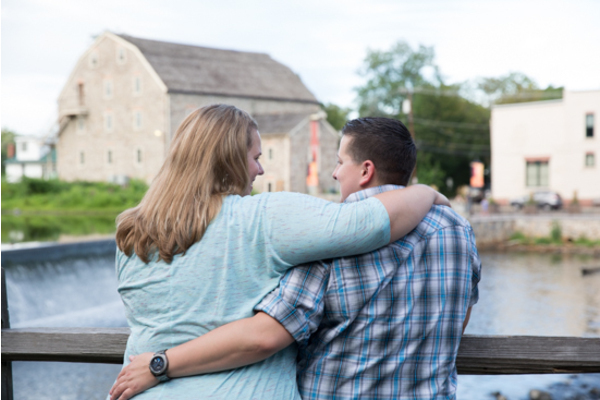 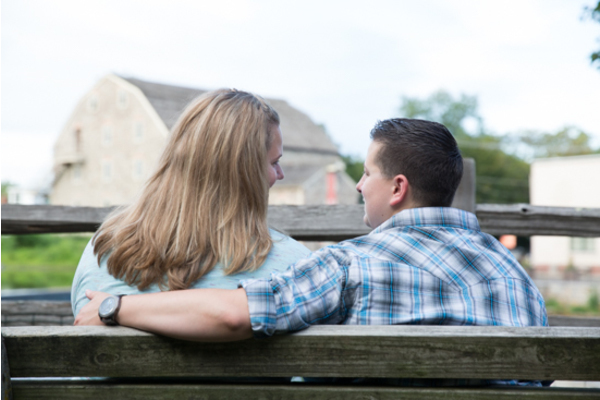 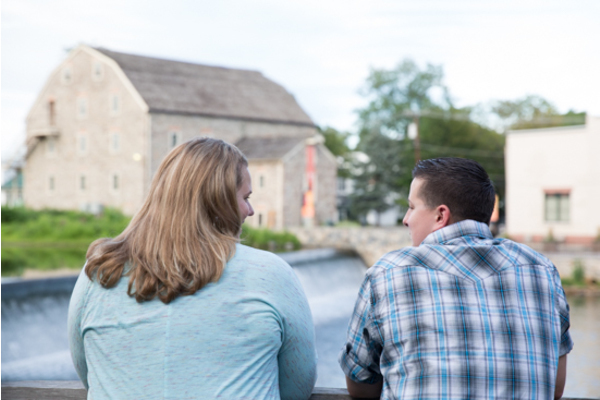 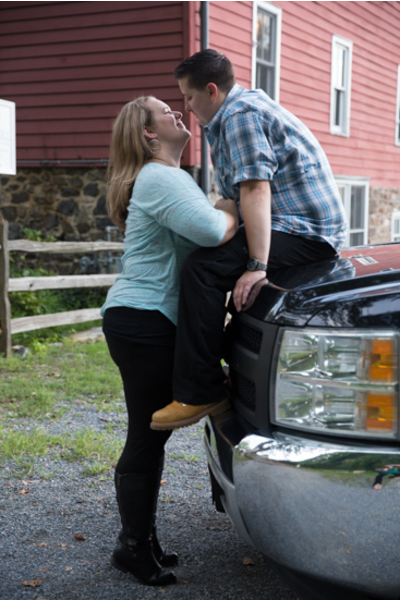 This beautiful couple plans to tie the knot in July of 2017 at the stunning Berkeley Plaza in Berkeley Heights, NJ. 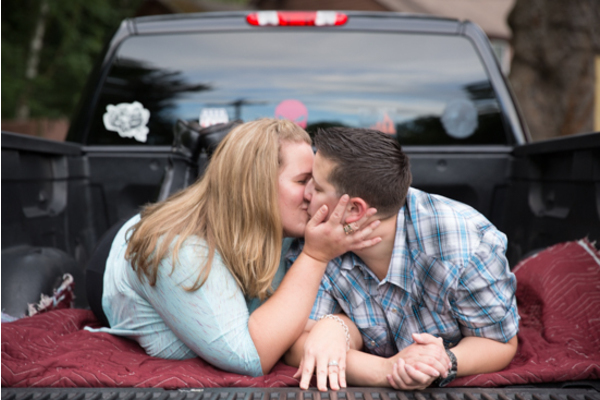 With unique touches on their engagement photos, their actual wedding day is sure to be one to remember! 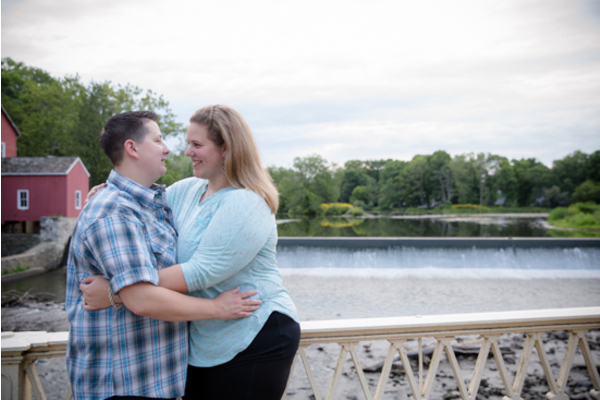 Corrine and Vanessa took to the outdoors for some photos to showcase their fun-loving personalities. 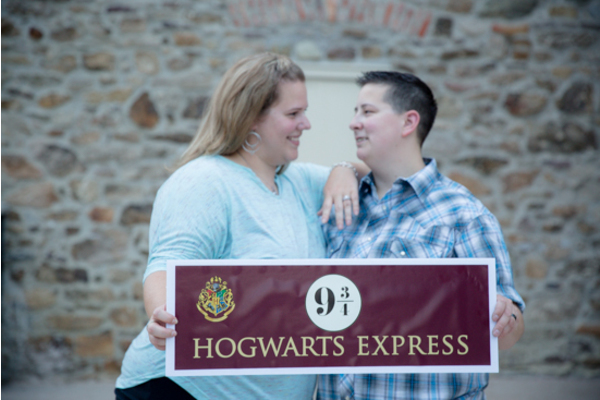 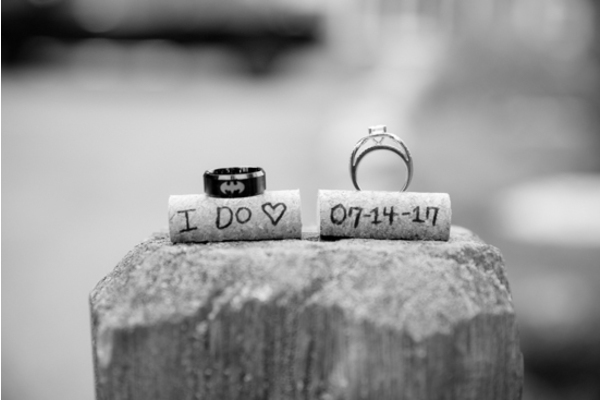 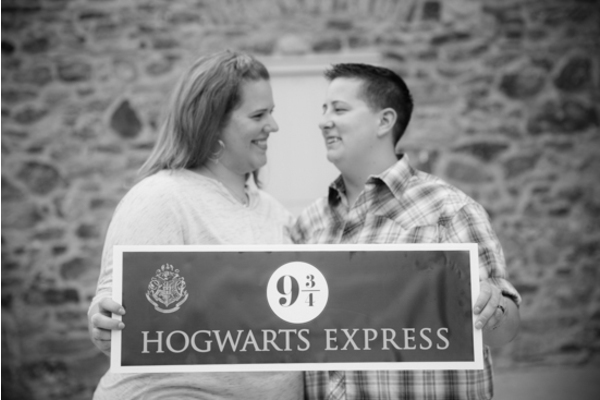 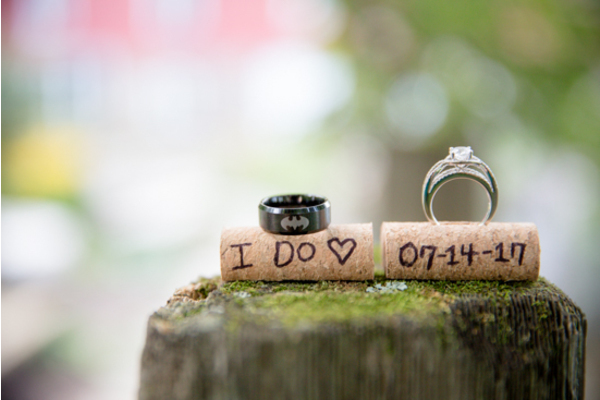 While using props such as scrabble pieces, corks, and even Harry Potter signs, their engagement photos were as unique and fun as they were! 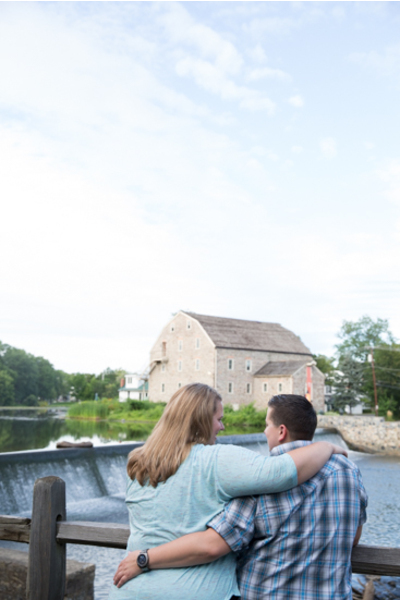 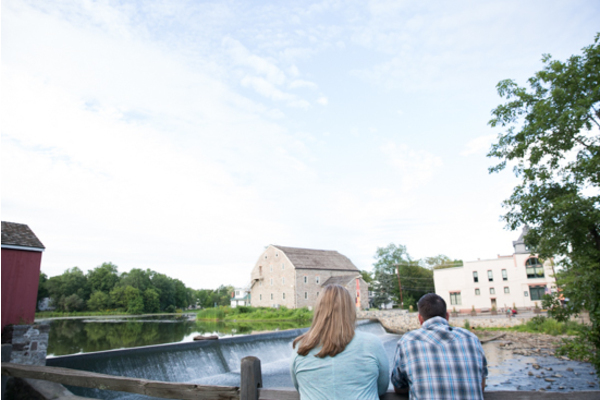 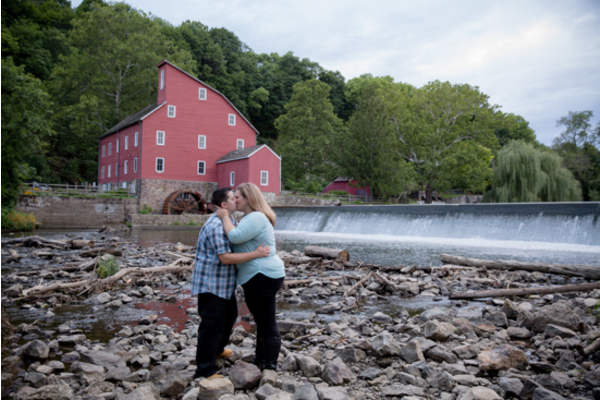 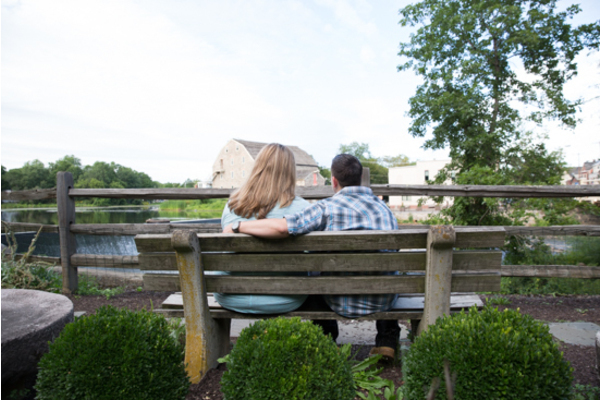 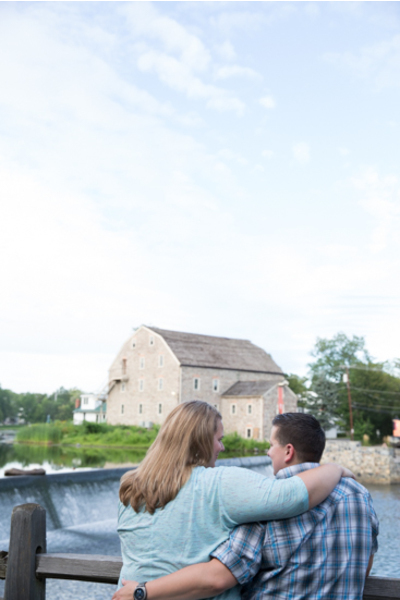 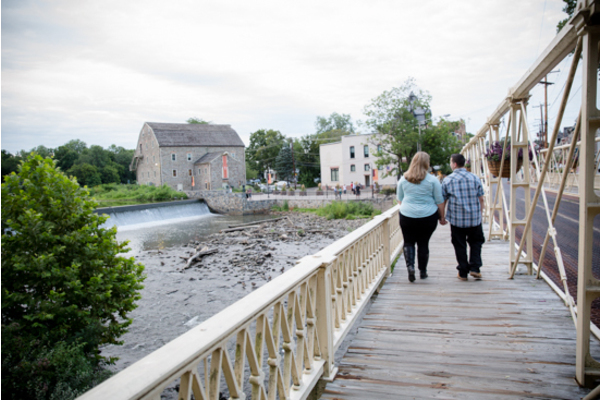 With nature as their backdrop, Our NJ Engagement Photographer was able to capture stunning photos for this loving couple to have as keepsakes or even save the dates! 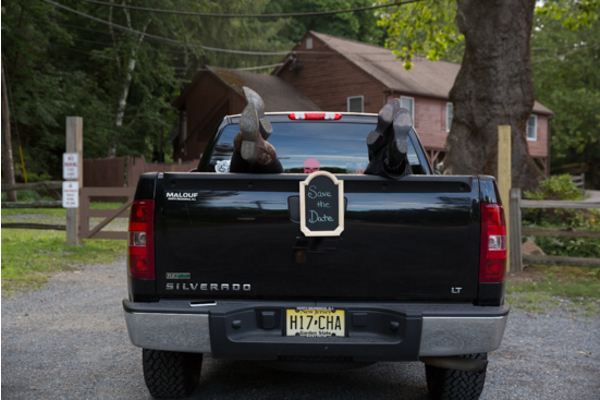 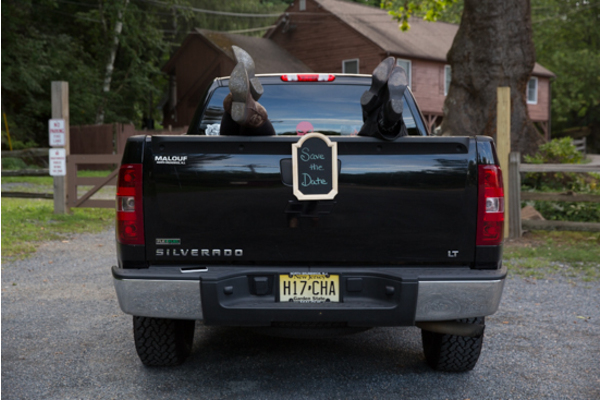 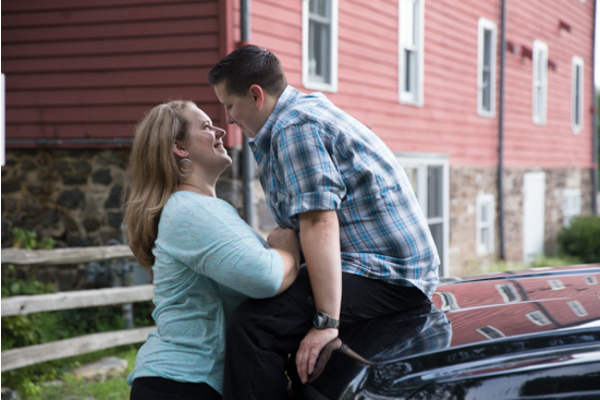 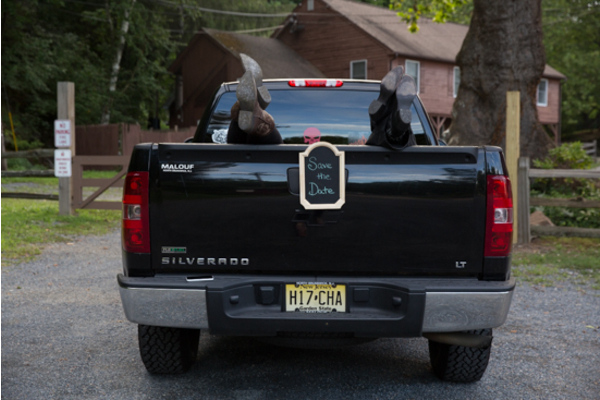 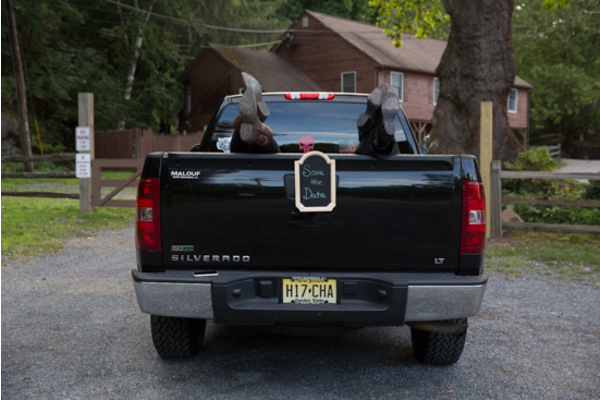 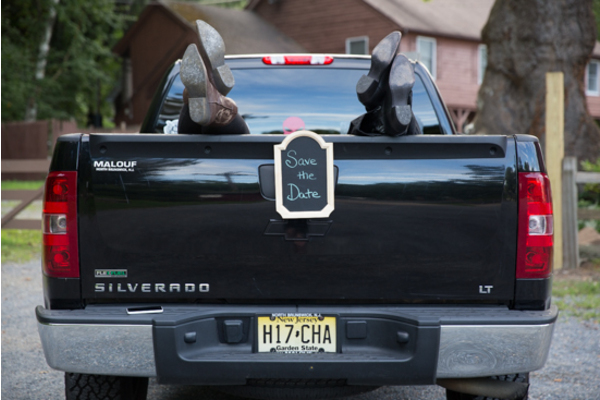 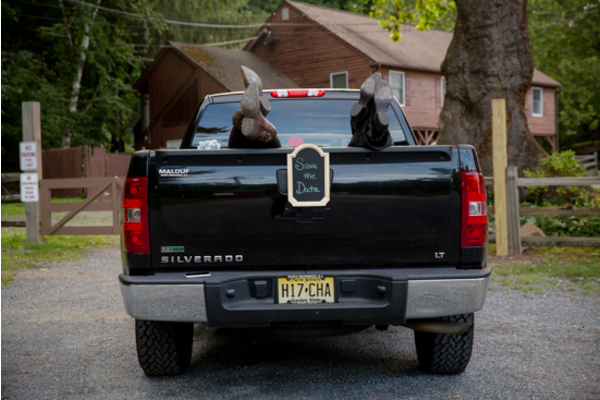 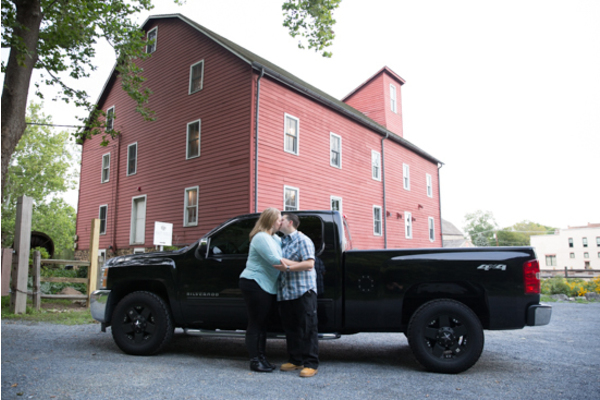 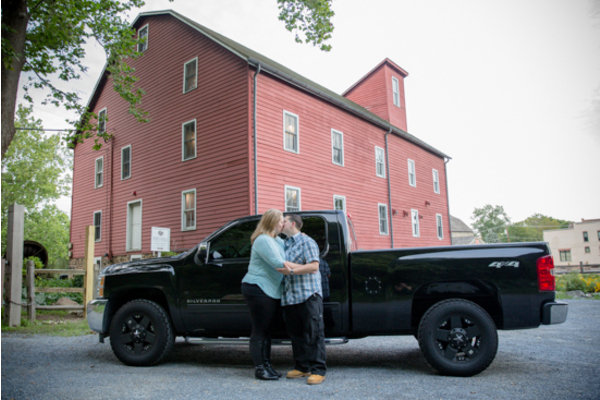 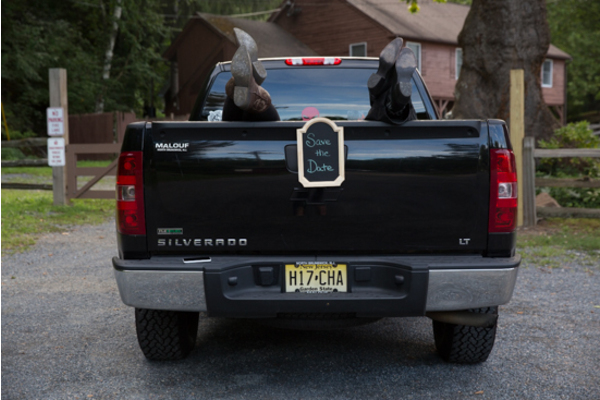 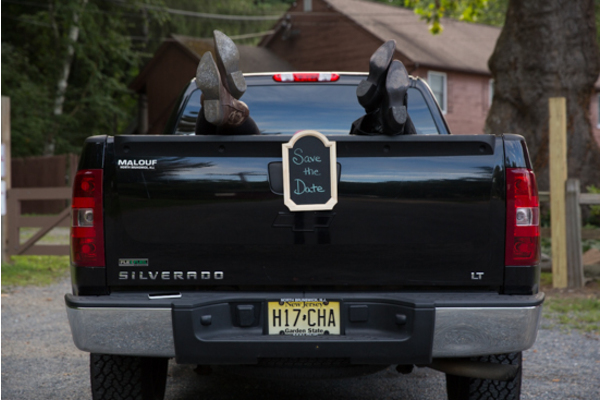 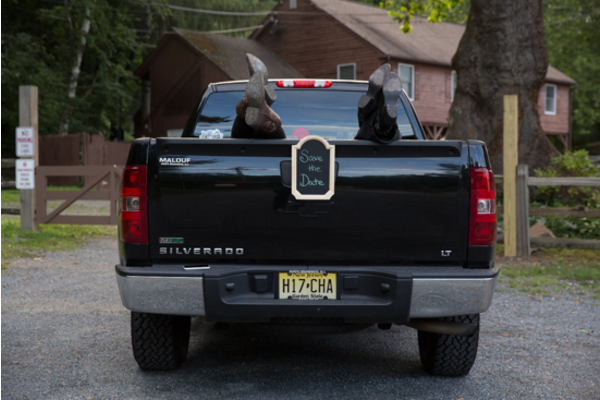 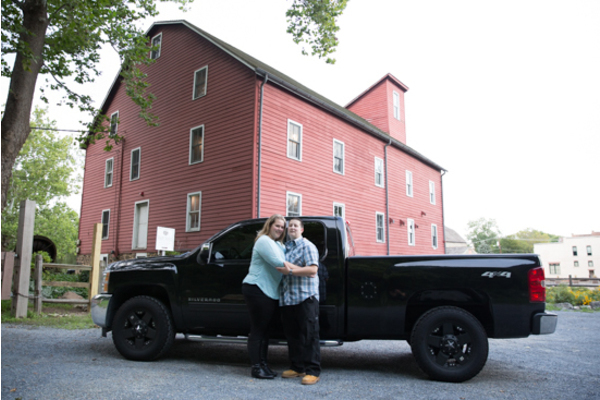 The signature item throughout Corrine and Vanessa’s shoot was their shiny, black Silverado. 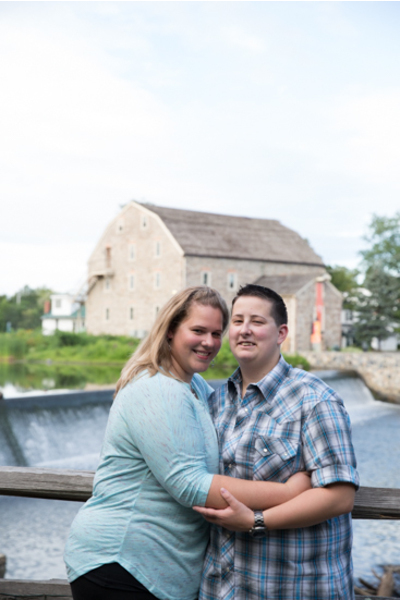 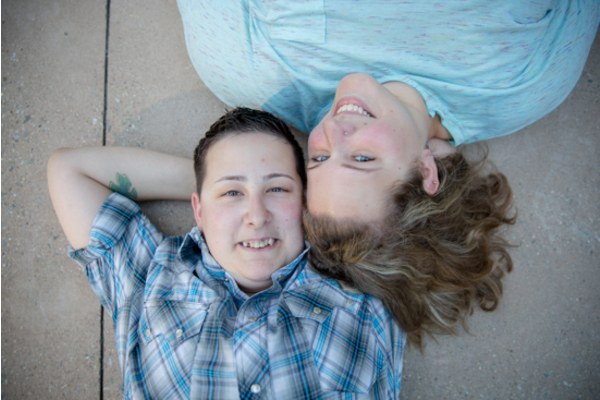 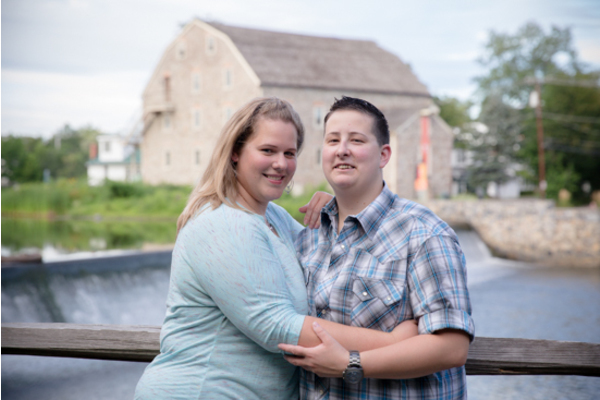 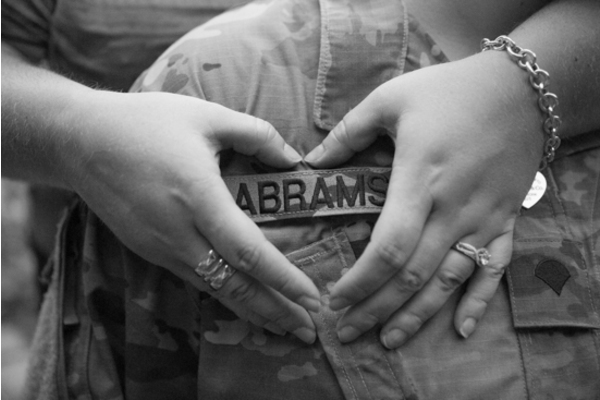 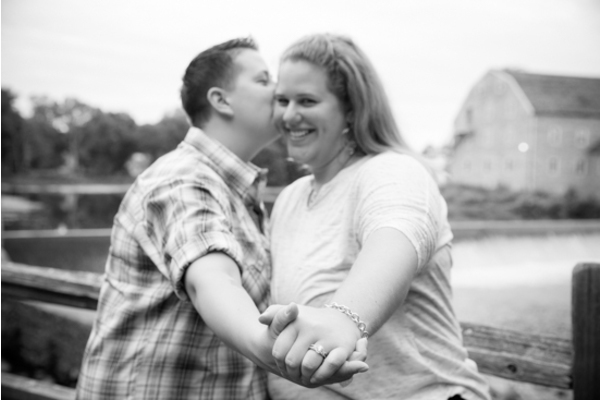 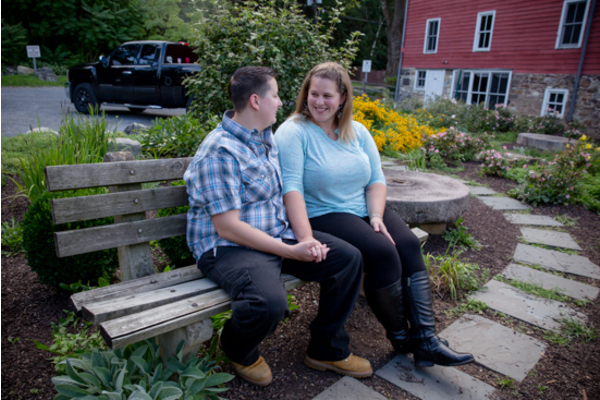 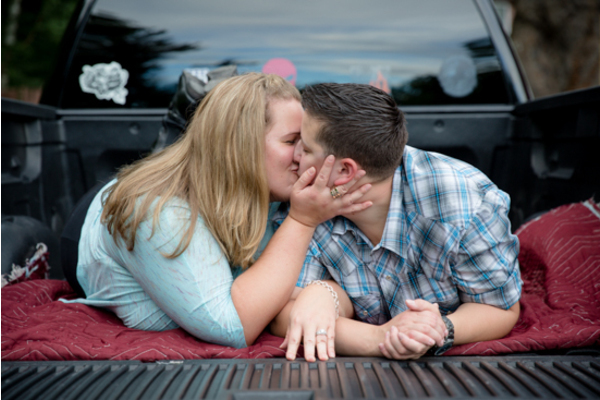 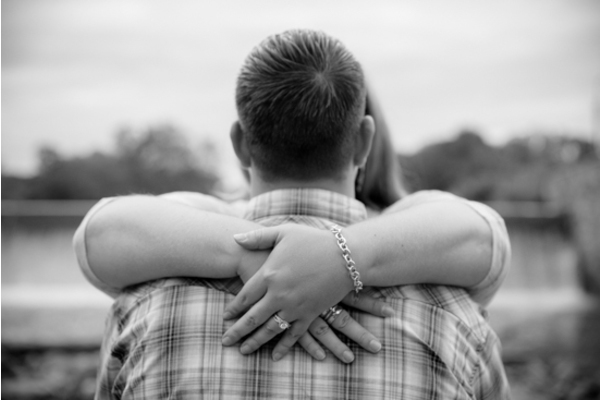 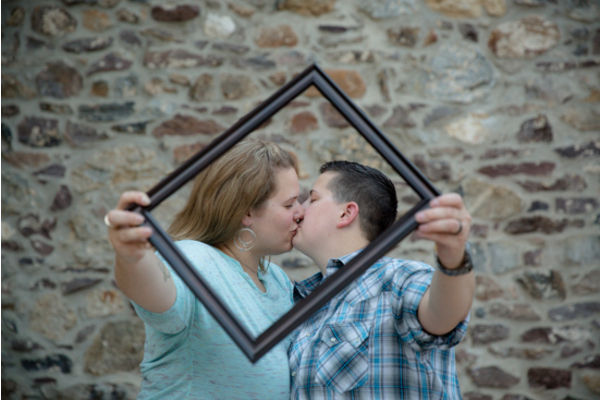 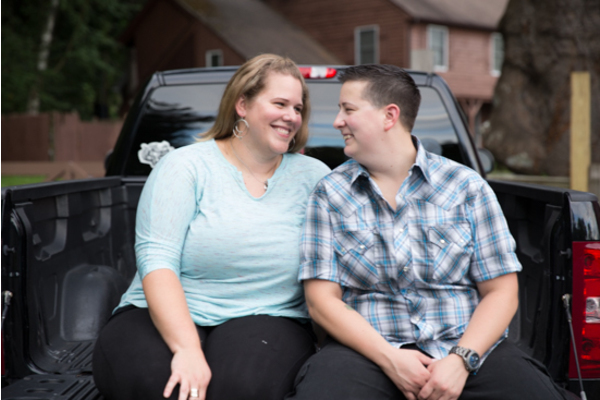 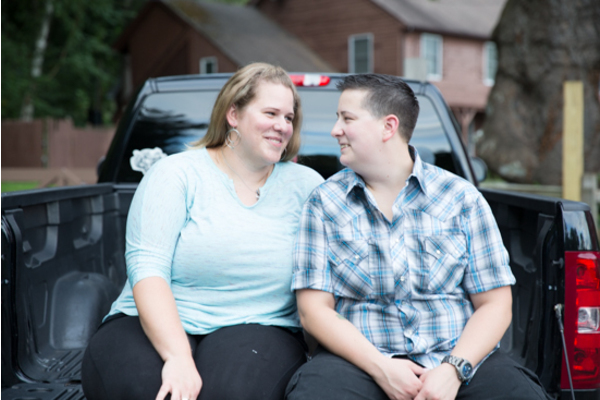 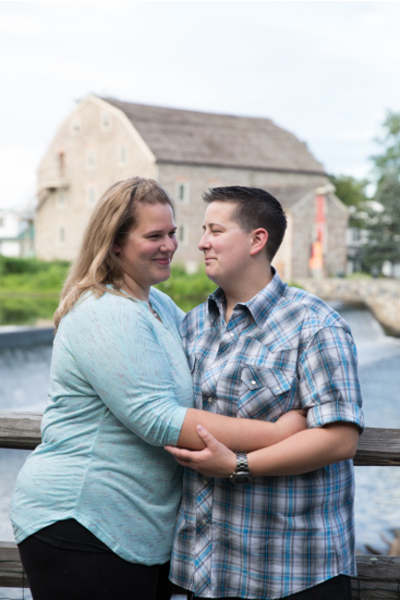 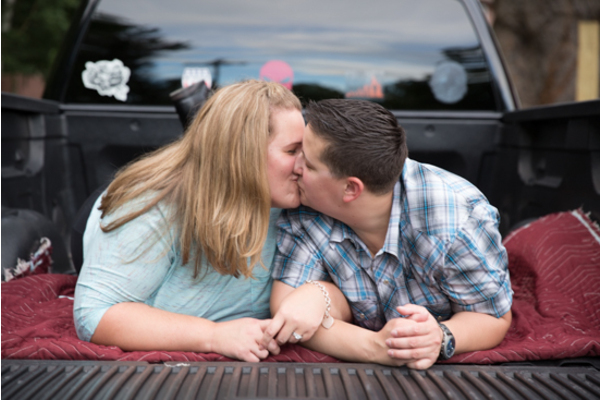 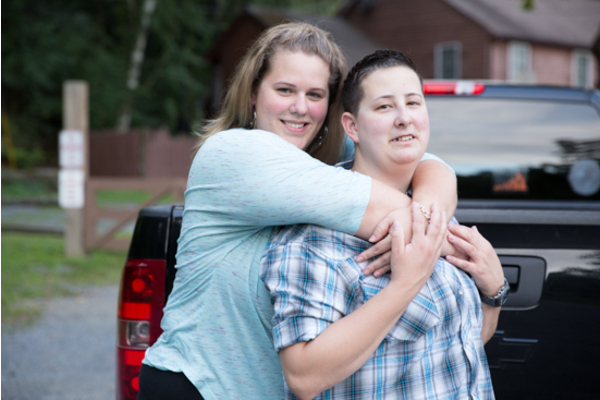 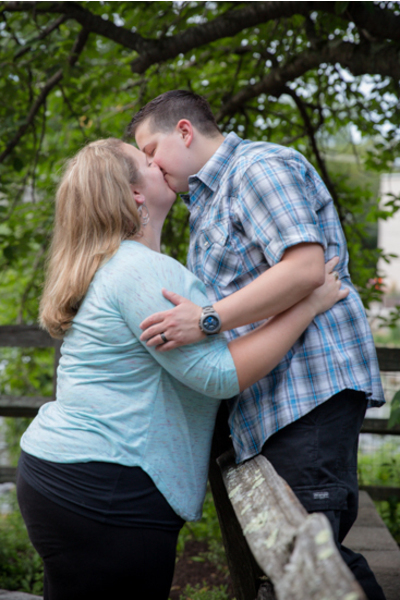 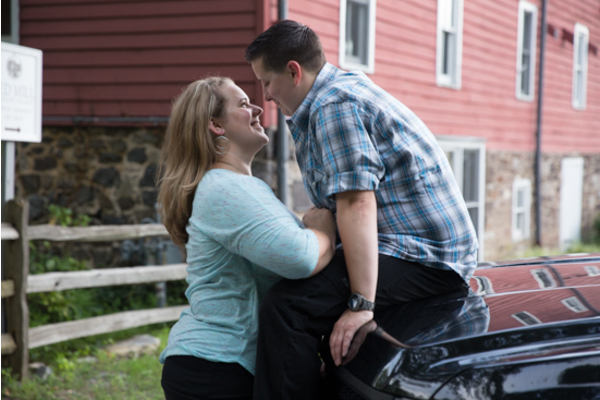 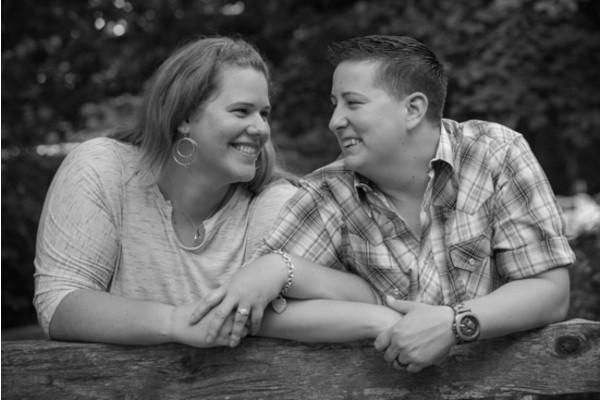 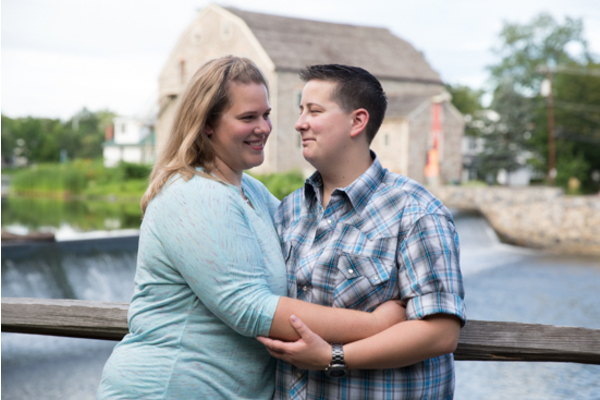 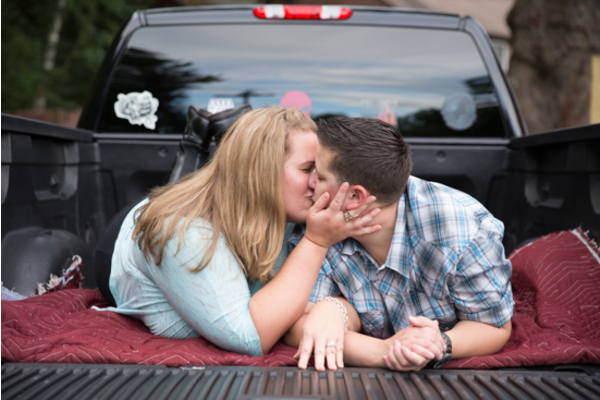 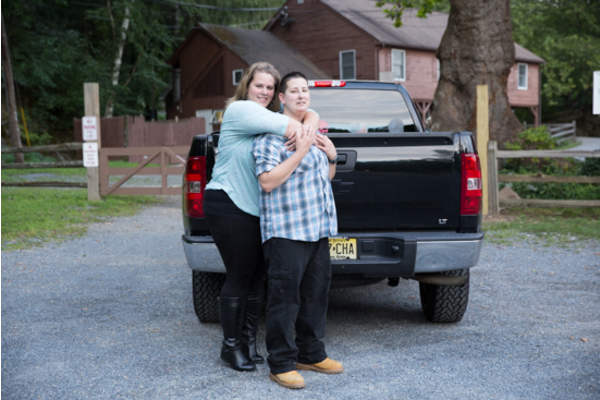 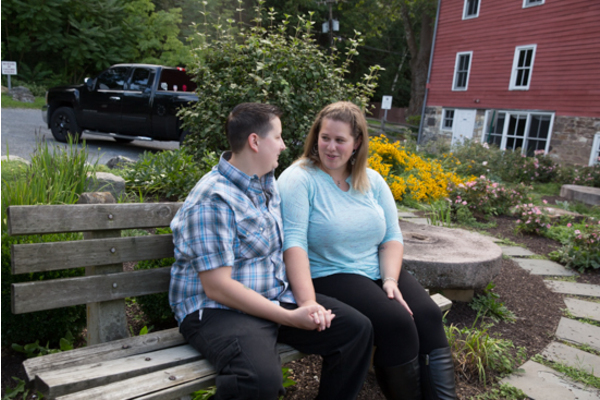 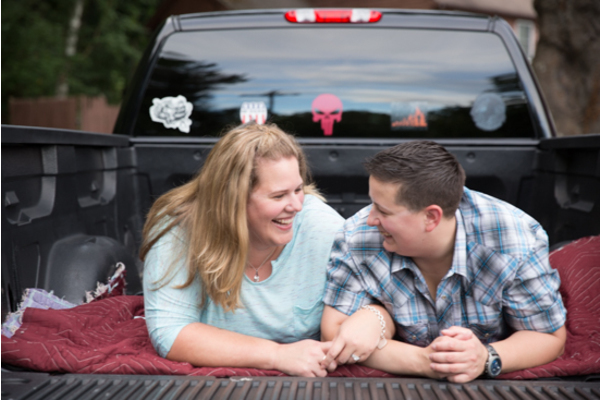 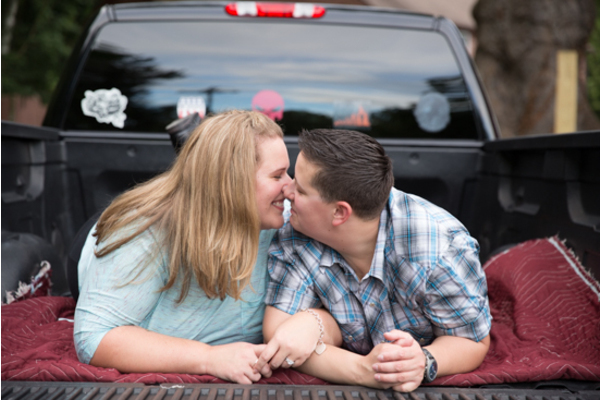 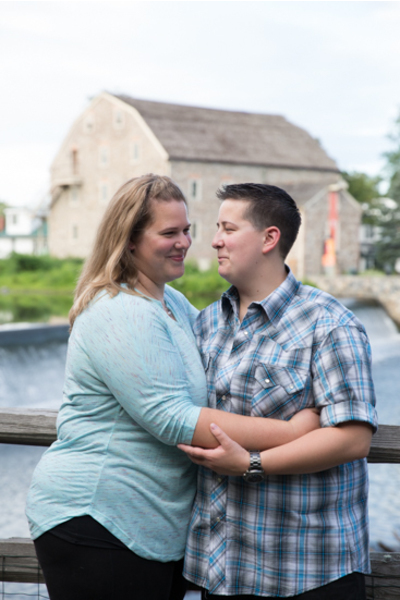 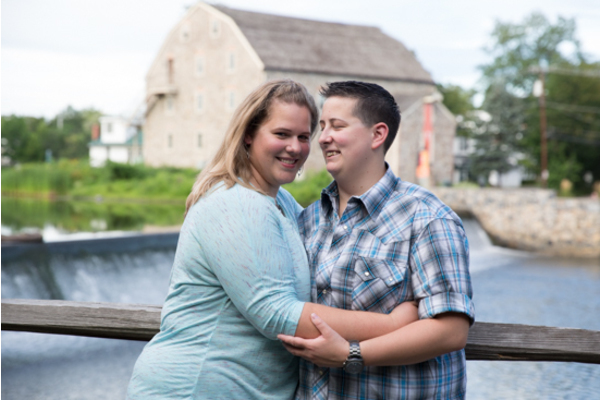 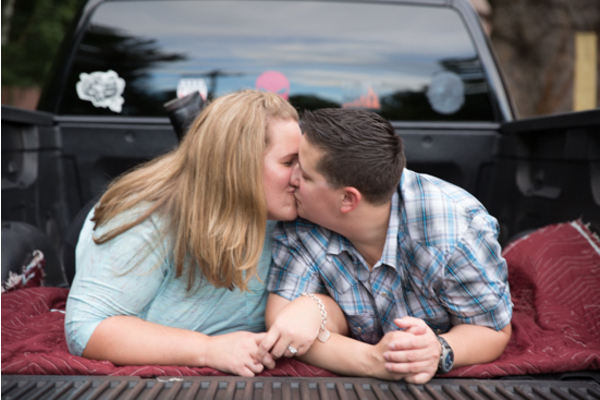 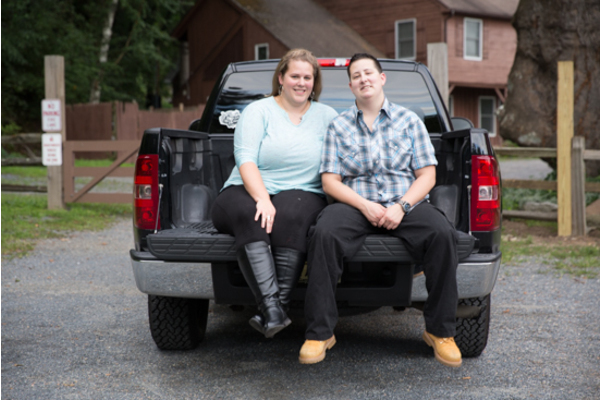 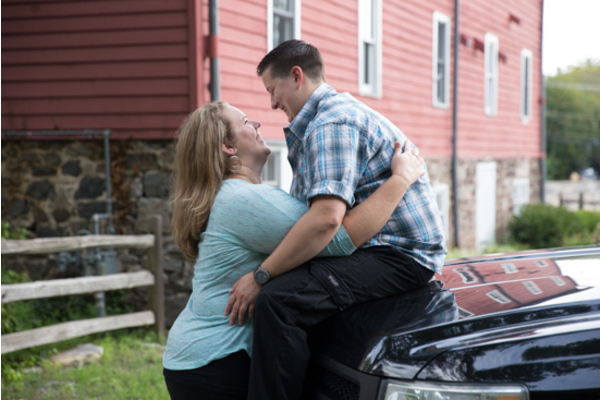 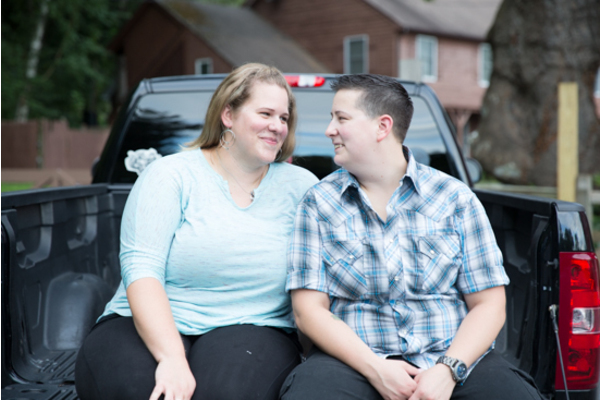 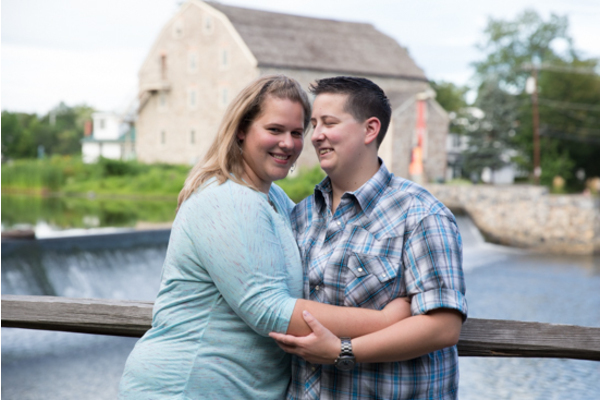 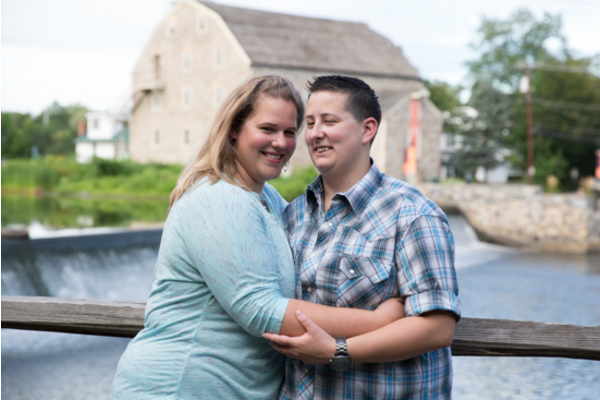 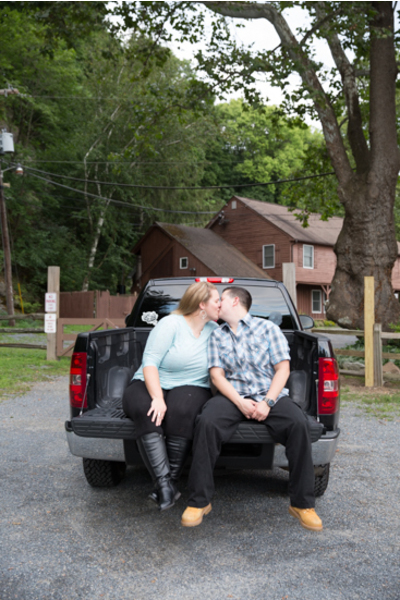 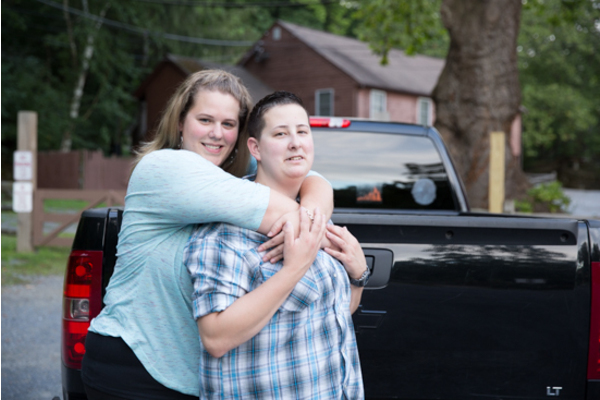 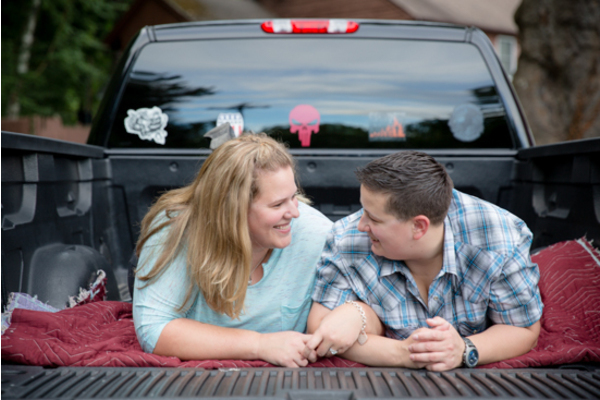 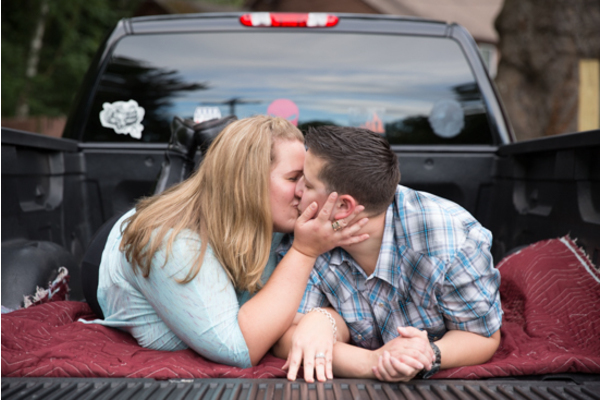 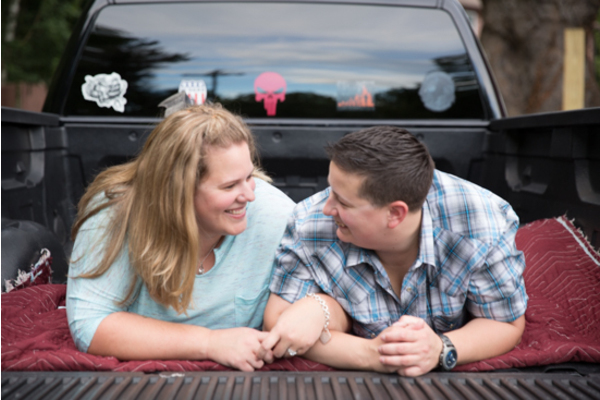 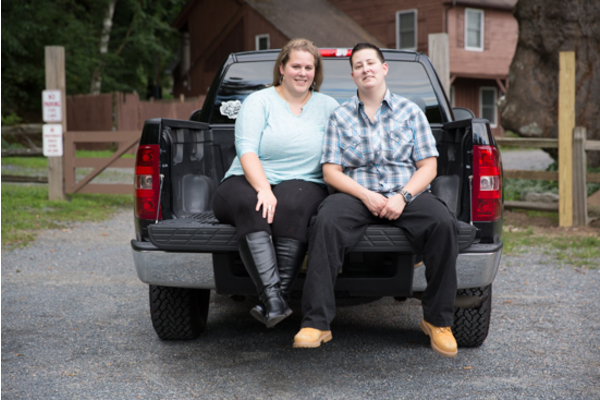 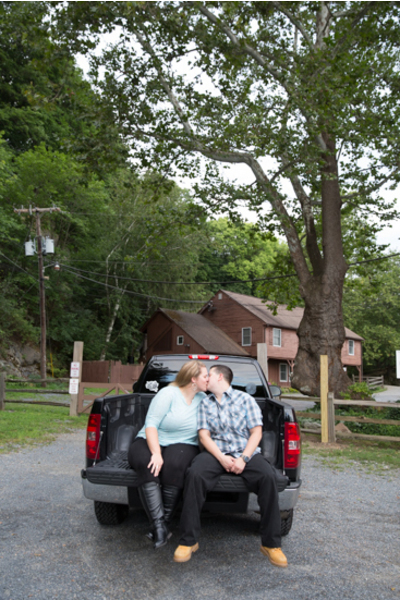 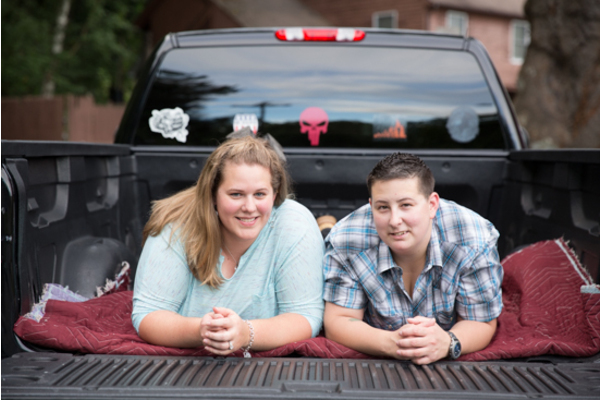 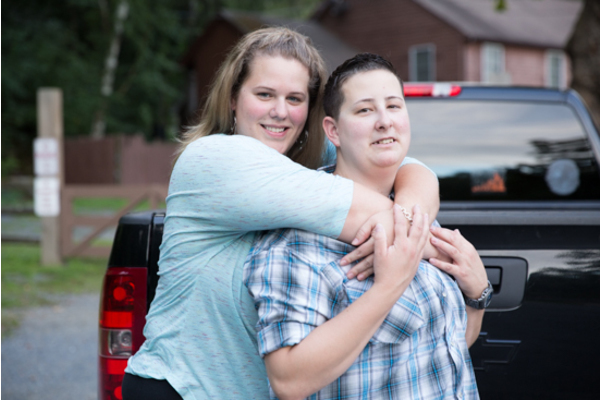 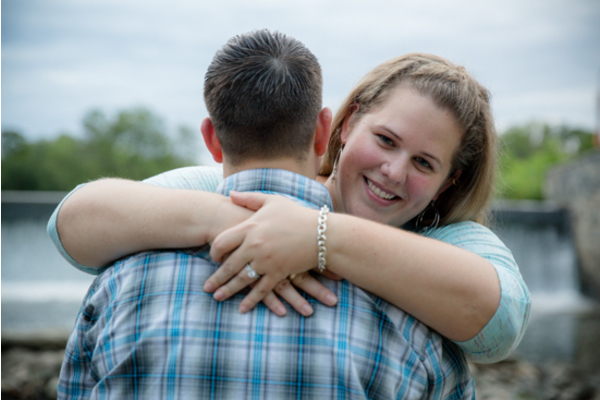 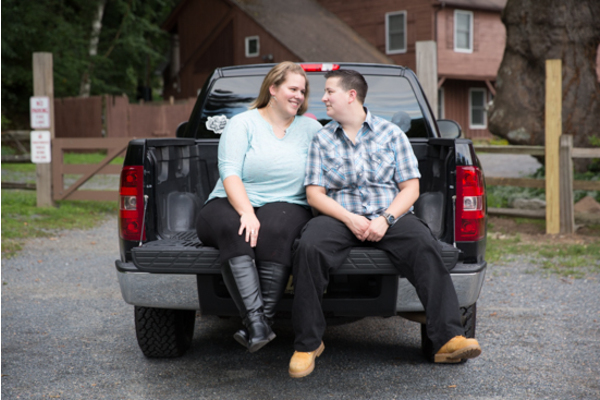 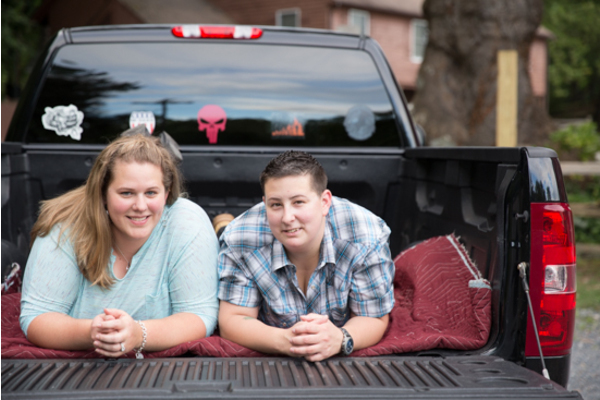 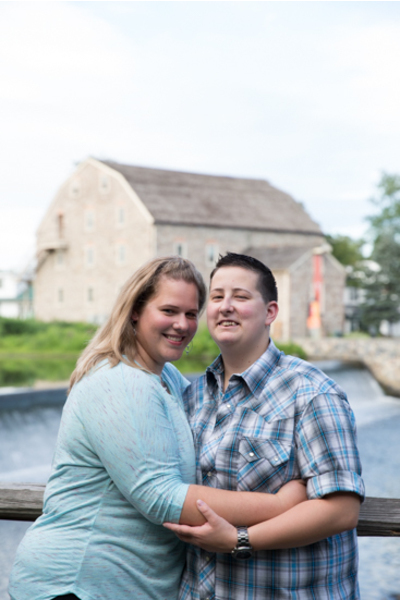 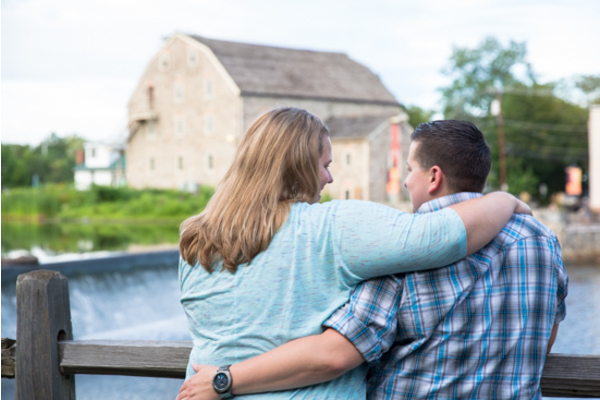 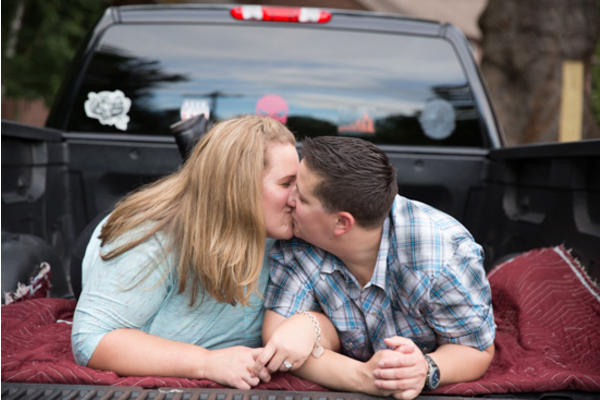 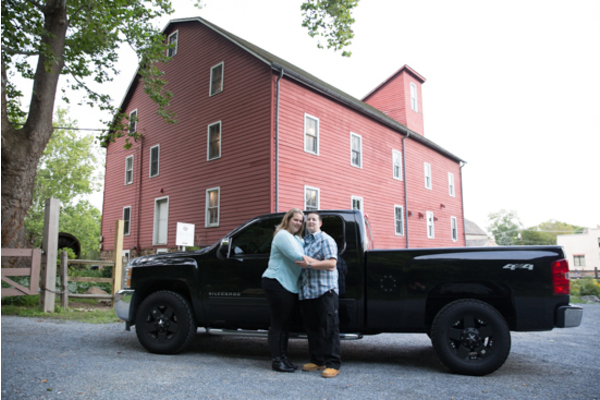 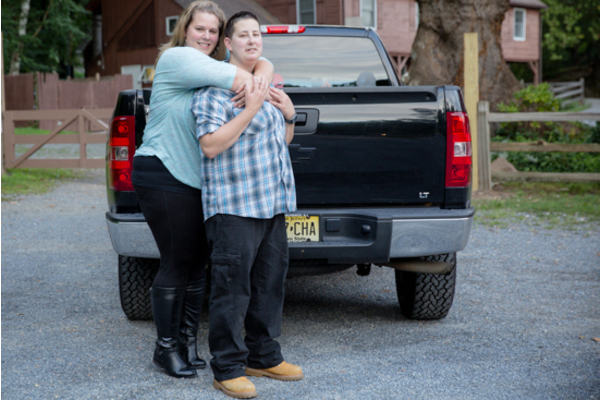 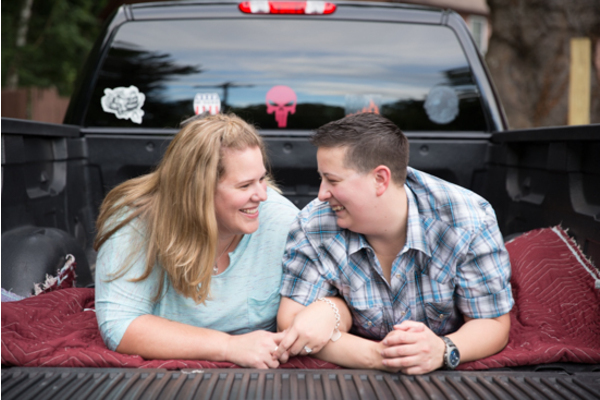 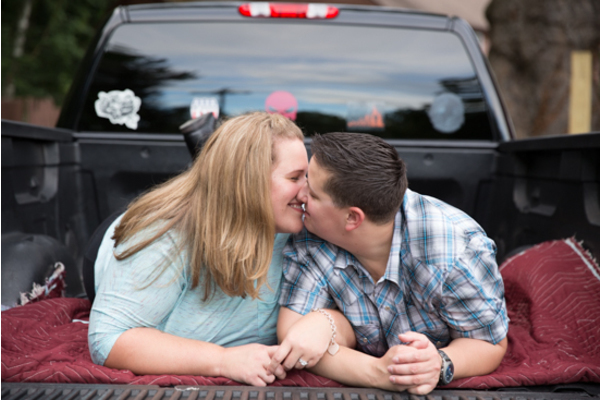 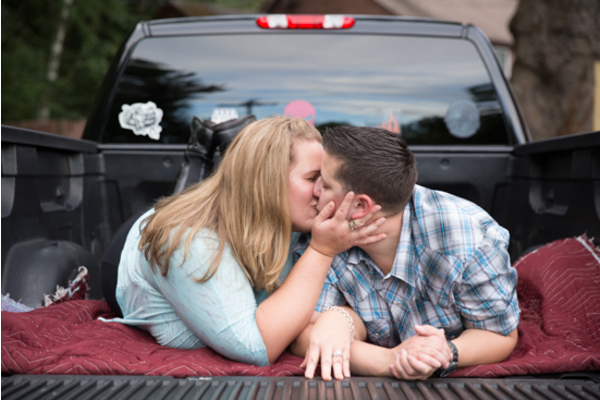 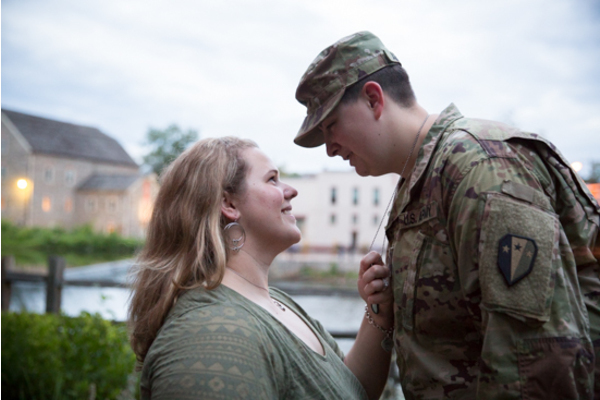 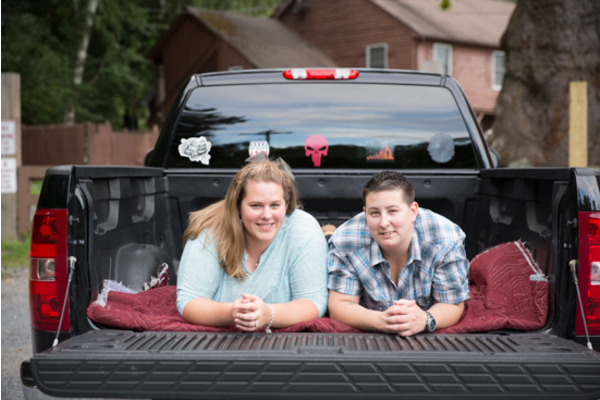 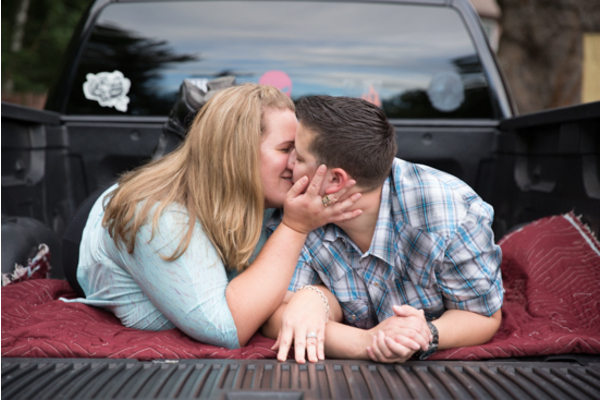 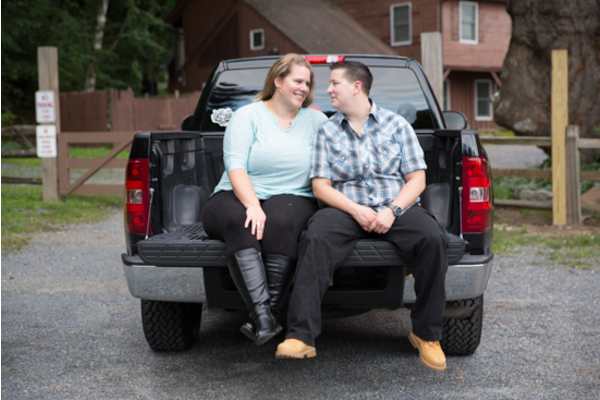 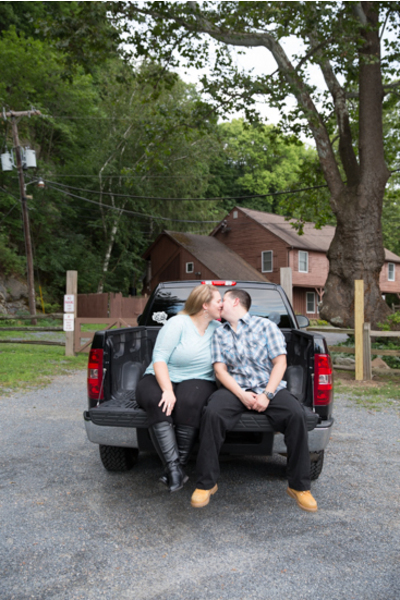 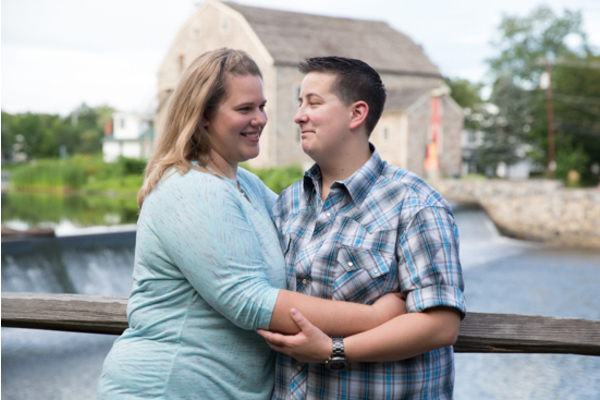 The couple threw on cowgirl boots and kicked up their heels in the bed of the truck with a reminder to “save the date.” As the sun began to set, Vanessa stepped into her military uniform and the two shared a heartwarming kiss. 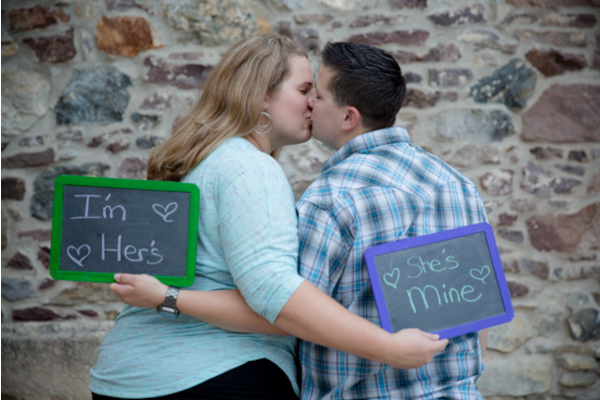 These two are sure to have an exciting wedding day as they step into our Photo Booth to celebrate! 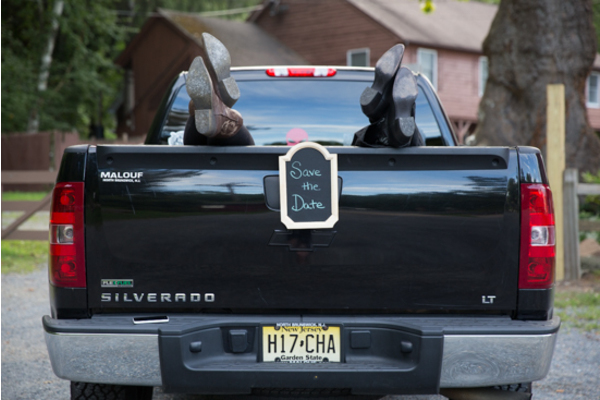 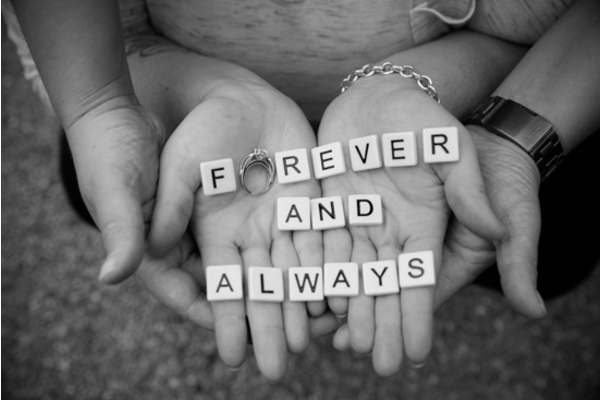 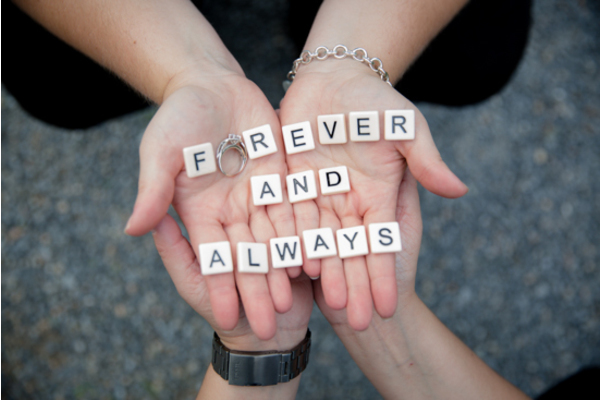 Our NJ Wedding DJ will also be there to keep everyone on the dance floor throughout the night. 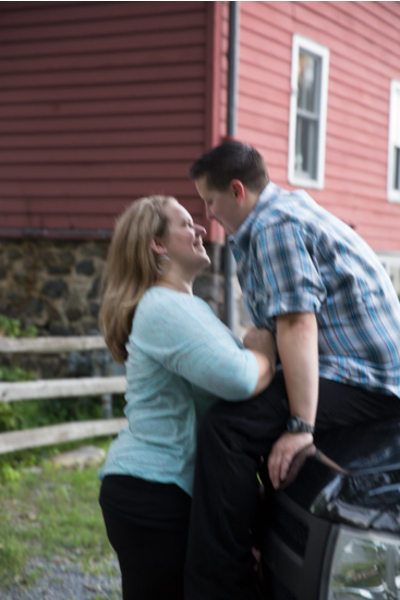 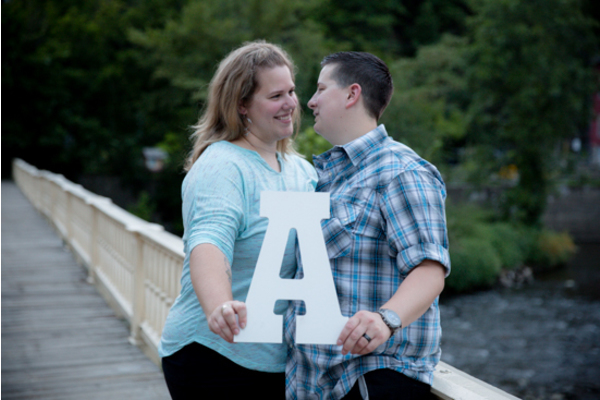 Congratulations again, Corrine and Vanessa on your engagement! 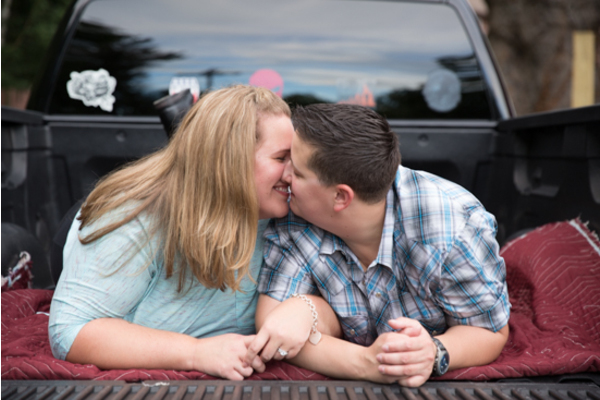 We are so excited to watch you two lovebirds tie the knot in less than a year.